Part fork, park spoon, part tongs, the Merkwares Sprong is an all in one camp eating solution. The slate colored fork and spoon nest together for flat storage and can be flipped around and locked to form a useful pair of tongs. It has a bail hook on the handle of the fork for a multitude of uses. The Sprong includes a nylon carry pouch. Fork, Spoon and Tongs with a nested design. 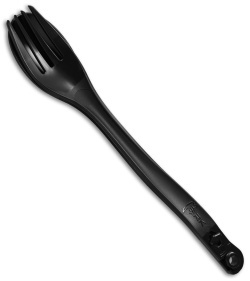 Spoon measures 1 tablespoon in volume for accurate measuring. Bail Hook for lifting hot lids and pots. Made in USA from BPA free nylon fiber. 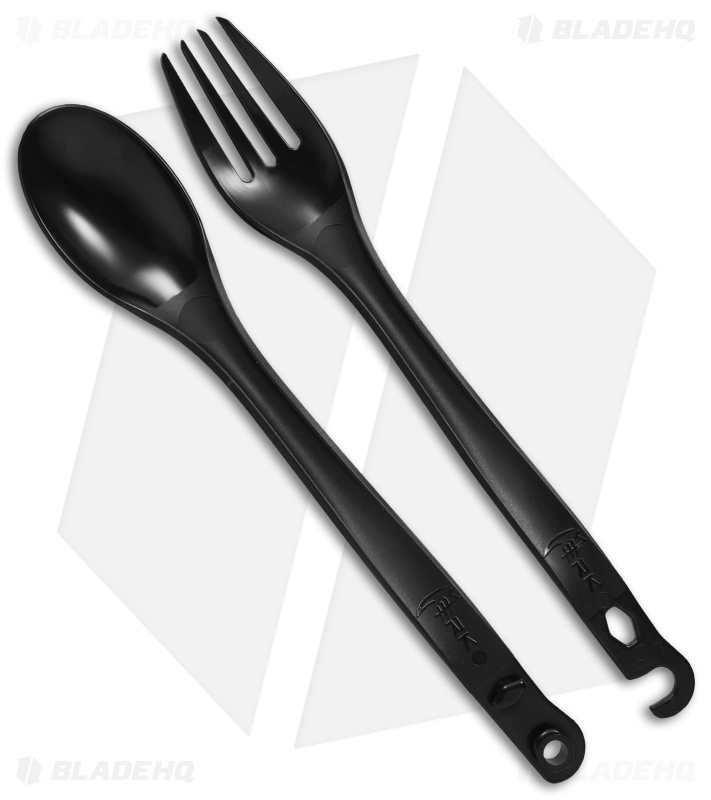 Sprong dimensions are based on home silverware for comfortable use.